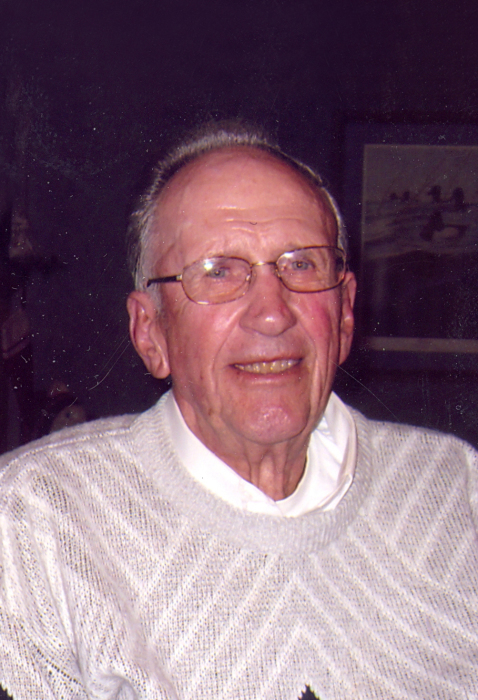 Hilmer A. Soder, 92, of Litchfield, died Saturday, March 30, 2019, at Harmony River Nursing Home, Hutchinson. His funeral will be at 11:00 a.m. on Monday, April 8, at Beckville Lutheran Church. Burial will be in Ripley Cemetery. Visitation will be from 3:00 p.m. to 6:00 p.m. on Sunday, April 7, at Johnson-Hagglund Funeral and Cremation Service in Litchfield, and will continue on hour prior to the service on Monday at Beckville Lutheran Church. Military honors provided by the Litchfield Military Honor Guard. Hilmer Albert Soder was born January 13, 1927, in Atwater, Minnesota. He was the son of Arthur and Hilma (Holmgren) Soder. He was baptized and confirmed at the Immanuel Lutheran Church of Rosendale, Minnesota. Due to the death of his father prior to his birth, Hilmer spent his youth near Rosendale on a farm with his aunts and uncles. He served in the U.S. Army during WWII from April 1945 to January 1948, as a Lieutenant and truck driver. He received the Asiatic Pacific Theater Ribbon and a Victory Medal. On June 25, 1950, he married Mildred Reinke, at St. John’s Lutheran Church, Cedar Mills, Minnesota. Following marriage, they moved to Atwater, then to Litchfield, where he was employed by Kvam Oldsmobile Co. and Archer Oil Co. He later returned to farming for two years and in 1953, purchased his own farm in Greenleaf Township, Litchfield, where he enjoyed caring for the land and farm the Lord had loaned to him while here. He cared for many animals on the farm and had a special soft spot for his farm cats. He served on the Beckville Church Council, Lake Minniebelle Church Property Board, and farm committees. He retired in 2007 and moved to Litchfield where they purchased a home. He loved nature and enjoyed camping, traveling with his RV, and fishing—especially with family, grandchildren, and friends. He also enjoyed woodworking and made many craft items for gifts. He loved to collect farm toys and tractors, and loved to drive his restored IH 350 tractor in the Forest City Threshers parades and other local drives. His special joy was coffee hour with friends. He always loved to visit and could talk with anyone. Hilmer is survived by his wife of 69 years, Mildred; daughters, Jackie (Steve) Kraushaar, of Litchfield; Jody (Steve) Gunderson, of Shakopee; and Cindy Soder, of Brainerd; grandchildren, Jami Kraushaar (Bill Dittman) of Little Falls; Kole (Marissa) Kraushaar of Litchfield; Chelsie (Justin) Olund of Bloomington; and Josh (Allie) Gunderson of Colorado; great-grandchildren, Liam, Otto, and Bodhi Kraushaar, of Litchfield; nephew Randy Reinke (Kevin Hanstad) of Minnetonka; step-nephew Ron (Donna) Bjur and family; step-niece-in-law Joyce Bjur and family. He was preceded in death by his parents; brother, Emmett; sister, Irene Bjur; grandparents; and special uncles and aunts. Memorials are suggested to Beckville Lutheran Church or to the donors choice, in lieu of flowers.